Guess what? Microsoft is the baddie again. The European Commission has accused Microsoft of ignoring its legal obligations under a 2009 antitrust settlement agreement by failing to offer European users a “browser ballot.” The ballot is supposed to inform European computer users of multiple Web browsers available for the Windows platform and enable them to set a default browser that’s not Internet Explorer. But from February 2011 to July 2012, millions of European users probably did not see the required ballot, meaning Microsoft could potentially be on the hook for many billions of dollars. What’s the big deal here? Surely most computer users are aware they can download and install any browser they like on their PC? And why is Microsoft required to present a browser ballot and un-bundle Internet Explorer, but Apple can bake its Safari browser (and WebKit) deep into both iOS and OS X without any government scrutiny? What does any of this mean for Microsoft’s tablet-centric Windows RT? Windows users in Europe have been confronted with a browser choice ballot since 2009 as part of the Microsoft broader antitrust settlement with the European Union. Among other things, Microsoft was accused of abusing Window’s dominant status in the desktop operating system market to give Internet Explorer a major advantage in the browser wars. Microsoft argued bundling IE with Windows was just innovation, and it was no longer meaningful to think of Internet Explorer and Windows as separate things, but European authorities disagreed. Microsoft was required to let PC makers pre-install and ship any browser they liked with Windows (although most stuck with IE), let users uninstall IE if they liked, and offer Windows users a ballot with a choice between a wide variety of other browsers they can download and install. The browser ballot does include IE, but presents browsers randomly to avoid fights over placement. The settlement agreement requires the ballot to be offered through 2014. Just one problem: When Microsoft released Windows 7 Service Pack 1 in February 2011, Windows stopped showing the browser ballot to many European users. Microsoft has admitted that the browser choice ballot was not displayed, blaming the trouble on a technical error that it corrected within a single business day of hearing about the problem. (However, Microsoft somehow avoided hearing about the problem for almost 18 months.) Microsoft estimated some 28 million Windows 7 PCs that should have seen the browser ballot did not, but the glitch also impacted an unstated number of systems running versions of Windows XP and Vista. The browser ballot wasn’t the full scope of Microsoft’s settlement with the European Union, and has generally been derided as a weak solution to the larger issue of Microsoft stifling browser competition by bundling Internet Explorer with Windows. However, it is the most public example of changes Microsoft has had to make to avoid antitrust scrutiny, and it may have had an impact: according to StatCounter, Internet Explorer has been eclipsed by both Firefox and Google Chrome in Europe since the browser ballot went into effect. Microsoft’s settlement with the EU is legally binding. If Microsoft is found to have violated the terms of that settlement, the company could be on the hook for as much as 10 percent of its global annual revenue. 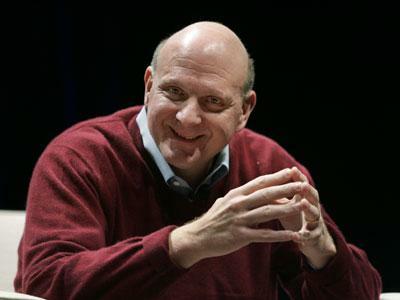 For Microsoft’s 2012 fiscal year, that would total up to almost $7.4 billion. The EU could also decide to impose additional requirements on how Microsoft operates within the European Union. For Microsoft, the stakes are high. Microsoft has four weeks to respond and can request an oral hearing. 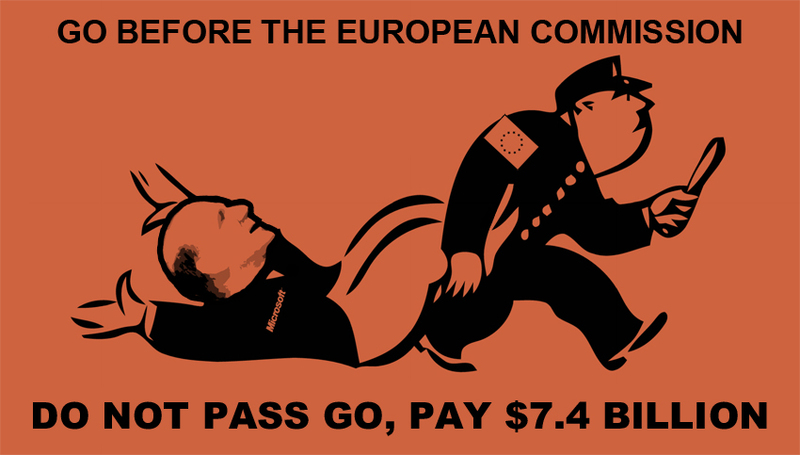 However, the EU will almost certainly see calls to give Microsoft more than a slap on the wrist. Whenever we cover news about Microsoft’s legal obligations and what regulatory agencies like the Justice Department and the European Commission have to say about Windows, Internet Explorer, Windows Media Player, and other products, we always get questions about Apple. Why doesn’t Apple have to serve up a browser ballot in OS X? How can Apple bake its Safari browser into iOS (and make it perform better than any third-party browser) without antitrust authorities crying foul? Basically: Why does Microsoft get a hard time while Apple gets a free ride? It’s easy to understand why folks ask these questions. After all, at Apple’s high-profile media event yesterday, Apple CEO Tim Cook lauded Apple’s performance in the PC market, noting that Apple not only makes the number one desktop and notebook computers in the U.S. market, but also is seeing its computer business grow about seven times faster than the rest of the PC industry — where the PC world will be lucky to see 2 percent growth for 2012, Apple is looking at 15 percent. Isn’t Apple’s curated approach to Macs and the iOS ecosystem just another way of saying Apple locks out competition? The reasons Apple skates clear of antitrust scrutiny for its Mac and iOS lines have to do with market share and how the company conducts business. 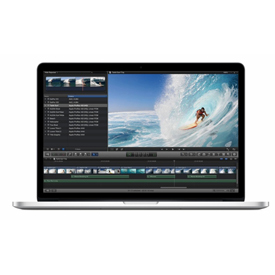 On the desktop and notebook computer side, Apple may be seeing its computer business grow at a faster rate than the overall PC market, but Apple is not a dominant player. Recent figures from IDC and Gartner don’t even put Apple in the top five PC makers worldwide, and Gartner places Apple third in the U.S. market with a 13.6 percent share. Apple may have the number one desktop and notebook computers in the U.S. market, but it shipped fewer than half the number of computers as HP. What’s more, these figures represent near-historic highs for Apple; it’s tough to argue Apple has somehow been abusing a dominant position in the PC market and needs to be reined in by governments. 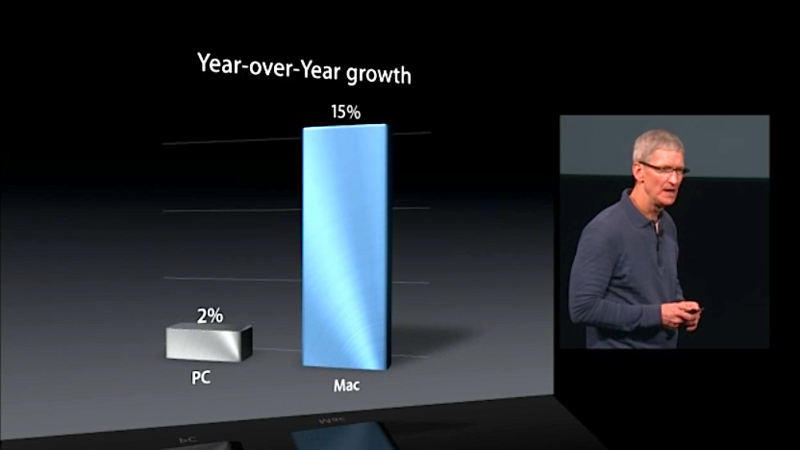 Moreover, since Apple doesn’t license its operating system, Apple’s computer sales are also representative of OS X’s share of the desktop market. The vast majority of all computers sold from other manufacturers are running Windows — so Microsoft remains the dominant player in the operating systems market. 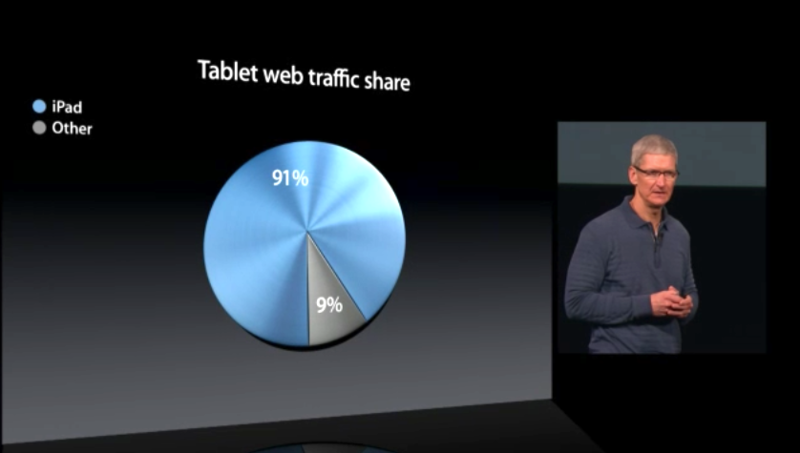 On the mobile side, the success of the iPhone and the iPad means Apple has a much stronger presence…but guess what? Apple isn’t the market leader in mobile either — that’s Android. According to IDC, in the second quarter of 2012 Android accounted for 68.1 percent of the worldwide smartphone market; Kantar Worldpanel Comtech recently found Android accounted for more than 60 percent of the global smartphone market, and two-thirds of the European mobile market. The iPad does currently account for 70 percent of the tablet market, but remember the iPad got there first, and the market is new enough that being first still carries weight. Amazon, Google, and Samsung are all aggressively marketing Android-based tablets, and Microsoft is about to enter the market with its Surface products. But even if the iPad continues to be the dominant tablet line for years to come — and regulators eventually decide smartphones and tablets are separate markets — Apple likely will still not be subject to the kind of antitrust scrutiny visited on Microsoft over the years. Microsoft drew the ire of regulators not just for having a dominant position in the desktop operating system market (that’s not illegal, and neither is a monopoly), but for abusing that position. Among other things, Microsoft cut deals with computer makers to dictate what software could and could not be included on new systems, fiddled with its APIs so Internet Explorer and other Microsoft applications would have an inherent advantage over competitors, and used its Windows monopoly as a distribution channel for Internet Explorer with the intention of wiping out competitors like Netscape. With one possible exception, Apple isn’t capable of committing these abuses. 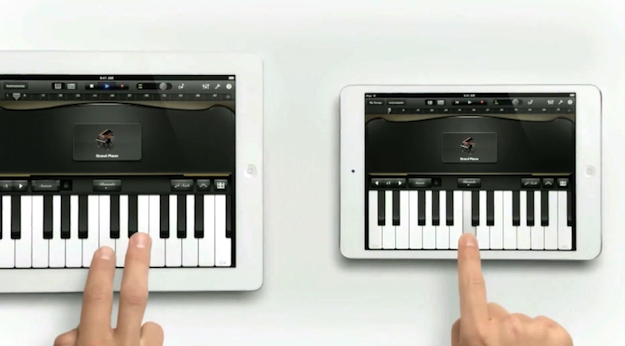 Apple doesn’t license its operating system, so it can’t strong arm partners who make iOS devices — there aren’t any. Similarly, with Android the dominant mobile operating system, it’s difficult to argue Apple deciding to bundle capabilities into iOS — like Photo Stream and iCloud, for instance — constitutes an abuse. Competitors can (and are) offering similar services for iOS (Dropbox, Instagram, anyone?) and are free to develop for Android, Windows Phone, Windows RT, or even BlackBerry or Symbian if they like. What might happen to Microsoft? Although Microsoft is undoubtedly in hot water for breaking the browser ballots (and thus the terms of its settlement with the European Commission), few expect the company will be on the hook for billions of dollars over the issue. Microsoft doesn’t seem to be slithering out of its mistake. “Although this was the result of a technical error, we take responsibility for what happened, and we are strengthening our internal procedures to help ensure something like this cannot happen again,” the company said in a statement. Microsoft has suggested it be required to display the browser choice ballot for an additional 15 months, which would mean European Windows users would see a browser choice screen through at least 2015. The European Commission hasn’t commented on that suggestion, or any possible sanctions against Microsoft. However, Microsoft is also unlikely to see any antitrust action over browsers in Windows RT — at least, not anytime soon. Right now, Windows RT accounts for essentially zero percent of the mobile or tablet market, so Microsoft can’t possibly be abusing a dominant position. Competitors might argue Microsoft’s existing antitrust settlements in the United States and the European Union should be extended to Windows RT, but that’s also difficult. In the United States, federal oversight of Microsoft formally concluded in mid-2011. Oversight in the EU is still ongoing — hence the scuffle over the browser ballot — and terms of the settlement could conceivably be applied to ARM-based devices running Windows RT. However, regulators will probably wait to see if Windows RT goes anywhere. After all, Windows Phone has been out for two years, and nobody is worried about Microsoft abusing its monopoly power there.